Residential Movers: For all of your household moving needs, Simonik can offer you the cost-effective solution you are searching for. Commercial Moving: Moving your business is a smooth and seamless process when you work with our Stone Harbor moving company. International Movers: Moving around the world has never been easier. At Simonik, we offer a full range of international moving services to meet your needs. Storage: We offer both short- and long-term storage options for households and businesses alike. Specialized Moves: All of our movers are highly trained to handle even your most valuable belongings for a safe and secure move. Warehousing and Distribution: You can guarantee that your products will be kept safe and neatly organized in our expansive facility. Get started with us as your moving company in Stone Harbor. 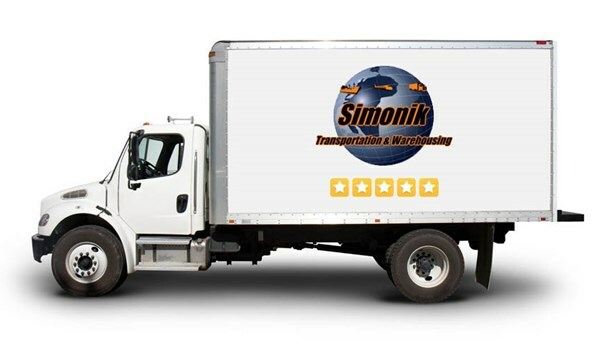 Simonik Transportation & Distribution can offer you all of the customer-oriented services you deserve. Call us or fill out our quick and easy online form to receive your free moving estimate.